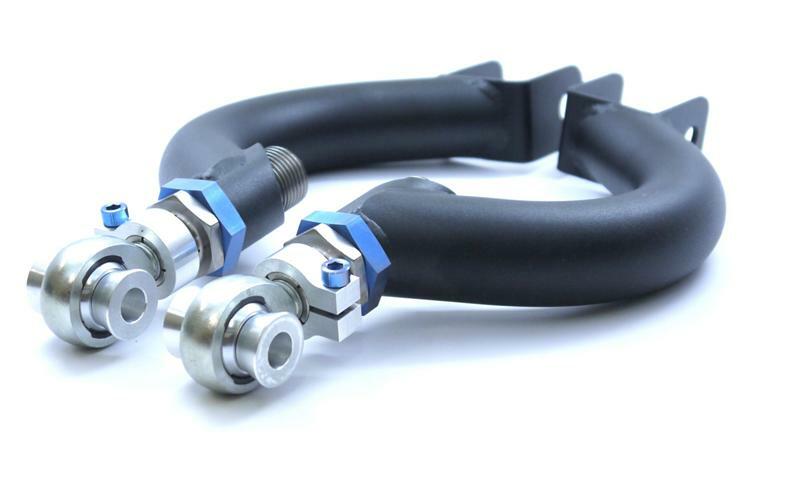 SPL Titanium Series Arms feature massive 1.5” DOM tubing, professionally tig welded at a 10 deg angle to allow for increased clearance from the arm to the frame on lowered cars. Our exclusive 4130 chromoly hybrid adjuster offers quick and precise adjustment, and is CNC gundrilled to reduce weight. Blue anodized titanium hardware shaves even more unsprung weight from the arms, without compromising strength. Paired with SPL Titanium Rear Toe Rods or HICAS Eliminator and SPL Eccentric Lockout Kit for total rear camber and toe alignment with “zero-slip”.